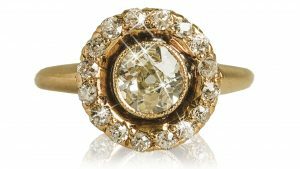 Witherell’s is excited to present its BLING auction from January 25, 2018 to February 7, 2018. Make plans to stop by the preview exhibition on Tuesday, January 23rd from 1:00 p.m. to 4:00 p.m. BLING will include estate jewelry, furs and Judith Leiber handbags and belts, but today’s blog focuses on the jewelry element. As many of you know, statement jewelry is back in a big way. Stores such as JCrew and Banana Republic led the way with reproductions of unusual estate pieces, while shows like The Crown are fueling a resurgent interest in newly-crafted classic fine jewelry – such as a double strand of pearls. But buyer beware! 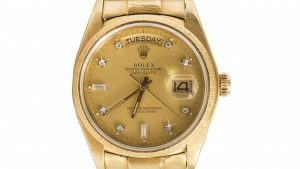 Newer pieces might offer that initial bling, but the shine may quickly wear off as quality and durability come into question. 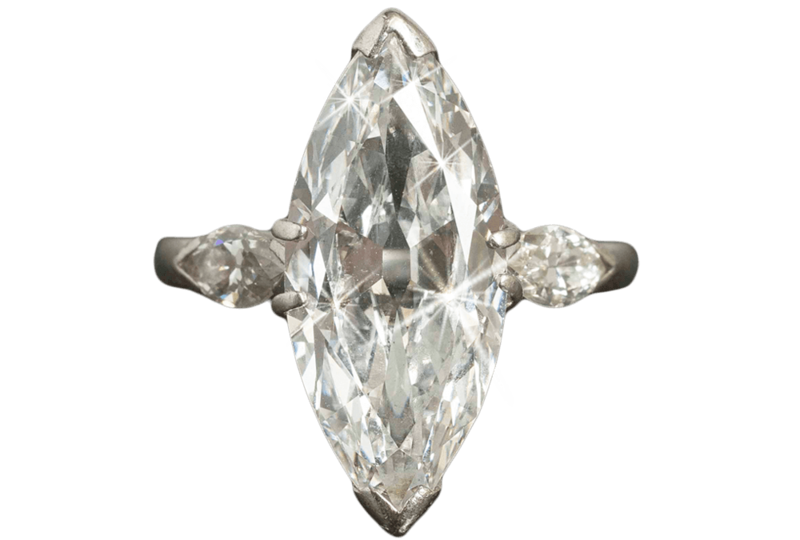 Authenticated estate jewelry is an answer to these concerns. Quality is such that your purchase can last a lifetime, and it will likely be easier on your budget while allowing you to make a statement that is as original and unique as you. The category of estate jewelry spans pieces made over multiple centuries. It can apply both to costume and fine jewelry and all eras and design periods. Each piece has its own unique history – sometimes evident by special engraved messages. And each offers quality and attention to detail that is missing in most mass-produced pieces today. While each piece is its own work of art, you will notice many recurring themes that are still prominent today – such as flora, fauna, enamel, and figures. Metals can run the gamut from sterling silver and gold-filled to plain gold and silver-plated to costume jewelry made using a mixed metal base and then triple-plated with either silver or gold resulting in a piece that won’t easily tarnish. In addition to precious or semi-precious gems and pearls you might find kunzite, lucite, celluloid, enamel, bakelite, and imitation pearls and stones that are typically made from glass rather than the acrylics used today. Enjoy the bling by perusing the BLING auction. We hope you like what you see.